After 12 years of doing youth ministry as a paid youth pastor and now being on â€˜the other sideâ€™ of it all as a volunteer, I have learned a ton. One of the things I have learned is how difficult it is to get plugged in as a volunteer! So I crafted this little list of 13 things Iâ€™d do if I was ever back in the church as a youth pastor. The context is specifially for church based groups, but I’ve found it quite helpful in reflecting on some of the groups I run and how our volunteers may feel when coming along. I know it’s very simple, but number 11 is important and something we’ve overlooked for some time. 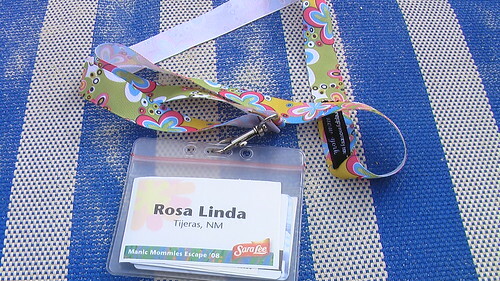 Name badges on lanyards work great to identify volunteers. Visitor lanyards can even look different to help them stand out. Our student placement brought this up a few weeks ago and we’ve been exploring ways to identify staff and volunteers to the young people through lanyards, T-shirts, sticky labels, etc. Does anyone have any more top tips on integrating and keeping volunteers? Hey. Just found your blog. Love it so far. From time to time we let our Volunteers have little gifts including a bible verse and let them know, that their service is much appreciated and just to say thank you. We do only have volunteers, the only full time people are the pastors. In our kids service, that is Willow Creek based (Promiseland), we wear special t-shirts and basecaps. It leads to a special feeling of belonging to and works great – everyone is keen on this shirts and caps.